Miller Radon Services is a full-service radon testing and radon mitigation specialist. Based in Syracuse Indiana, serving Elkhart county, Kosciusko county, Noble county, Whitley county, Lagrange county and St. Joseph county in Northern Indiana. 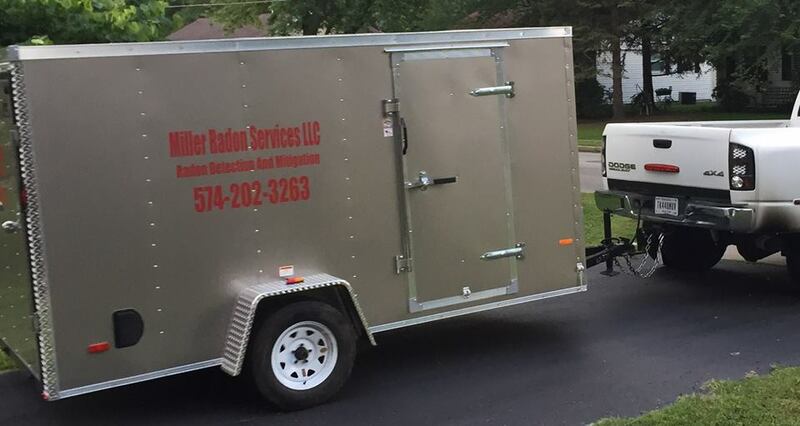 Miller Radon Services specializes in effective radon mitigation services that are customized to each homeowner, based on the characteristics and construction of each individual residence. Here at Miller Radon Services we know that safety of your family is of the utmost importance. That is why we only use the best testers in the industry, Radalink AIRCAT and not just a charcoal canister. The AIRCAT is a CRM (continuous radon monitor) and data is uploaded to Radalink for analysis. Radalink issues the reports. Radon is a health hazard with a simple solution. TEST. FIX. SAVE A LIFE.